Our response is here – RCC – LIP2 Response. No clear target for the percentage of people who cycle as their main method of travel [modal share]: we are asking for an increase to 20% from the current figure of 6%. The schemes for secure cycle parking at stations [1 and 12] have a combined allocation of £90,000 but only £11,100, 12%, had been spent. 2. Ensure there is always a Plan B, especially for schemes like Beverley Brook where the absence of consent from others was fatal. E-mail campaign@richmondlcc.co.uk with your thoughts. 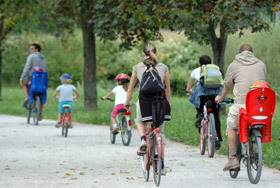 Back in the autumn LBRuT published their provisional budget for cycling in the financial year beginning 1st April 2011. Recently elected as RCC Campaigns co-ordinator I’m slowly getting my head around what’s going on and thought it was useful to have a look again at what the Council are planning to do. Item 87 of the Cabinet meeting on 11th October 2010 provides the relevant paperwork. There is an especially helpful report for a newbie like me explaining what the Local Implementation Plan is. The planned spend is set out in Appendix A. Given the remit of the Mayor’s Transport Strategy not all £2.11million is being spent on cycling but some of what is not cycling specific could be reasonably expected to have an affect, one way or another, such as the £70,000 for “Reducing traffic congestion in Borough Roads“. 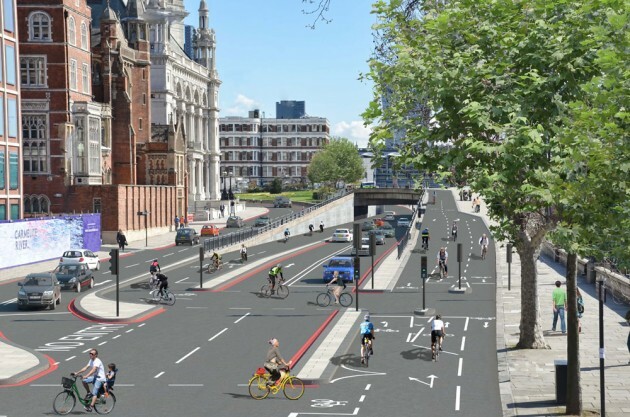 £630,000 or 30% of the total budget, is under the heading “Corridors” and key schemes include the “Right of Way Improvement Plan” [£10k] which taken together with the “Cycle Tracks Act and improvements to surfacing of Thames towpath” [£50k] fits with both the RCC Manifesto commitment to safe routes and the Cycling Liaison Group [CLG] Priorities List, as does “Completion of the Borough’s cycle network” [£90k] I’ll talk about the Manifesto and the Priorities List in much more detail in my next two posts. 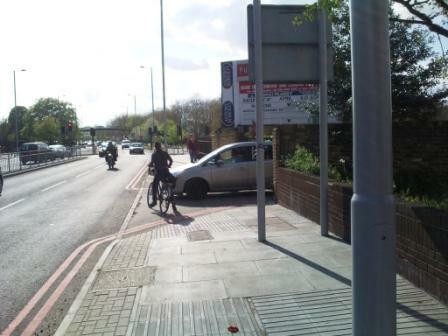 The challenge for RCC is to make sure the money spent makes cycling in the Borough better, quickly and effectively. £1,133,000, 54% of the total, is under the heading “Neighbourhoods”, almost double the allocation to “Corridors”. Explicit reference to cycling is limited to “Cycle Parking including secure facilities at Rail Stations” [£25k] although lowering the speed limit under “Safety in residential areas” fits with the RCC Manifesto and “Richmond Town Centre” could fit with the problem of cycling through it identified in the CLG Priority List. 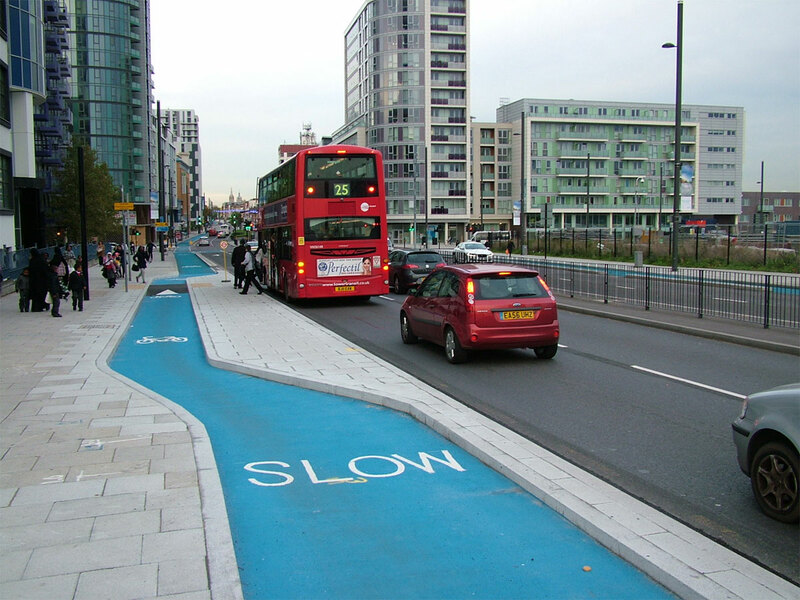 The challenge for RCC is to make sure the cyclist is considered in all the schemes. £347,000, 16% of the total, is under the heading “Smarter Travel”, nearly half the allocation to “Corridors”. Like “Neighbourhoods” there is more implicit than explicit reference to cycling which is limited to “Cycle Training” [£60k] and the example of a cycle path in “Workplace engineering” and cycle stands “Workplace Small Grants“. 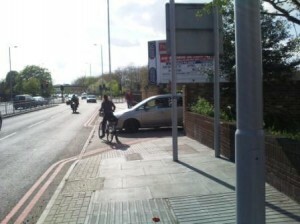 Again, the challenge for RCC is to make sure the cyclist is considered in all the schemes. So, a quick run through the next financial year but what about the current one? Paperwork posted on line for the last meeting of the CLG 29th November included “Draft Cycling Capital Budget 2010-2011” 19 schemes are listed under 3 headings with a total budget of £372,500, less than £2.11m above because these are cycling specific. 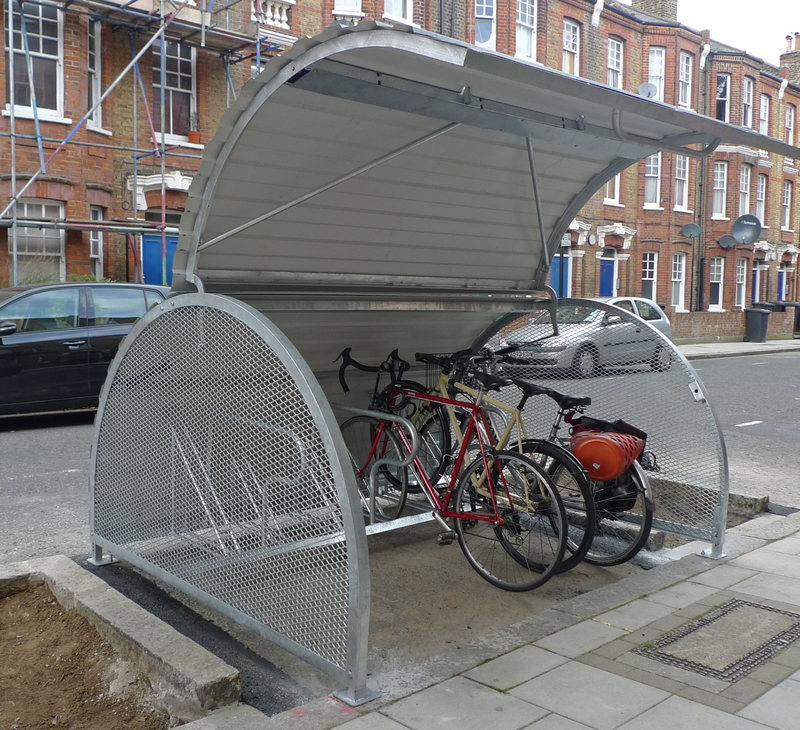 Similar activity takes place under different headings such as Scheme 2 “Secure Cycle Parking at Richmond Station” in Corridors and Neighbourhoods and Scheme 13 Cycle Parking and Small Measures in Smarter Travel. 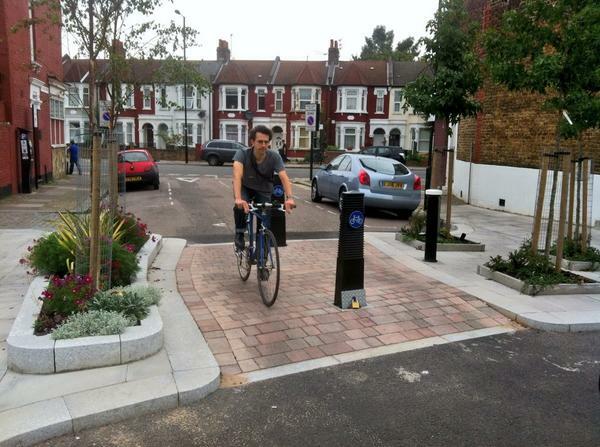 The total budget for all schemes related to cycle parking [2, 8, 13, 15 and 18] is £143,500, 38.5% total. Signage [7, 14] is £34,000 with Strategy  and Mapping  £30,000. The budget for location specific schemes [1, 3, 4, 5, 6, 9, 10, 11, 12 and 17] is £160,000 or 43%. 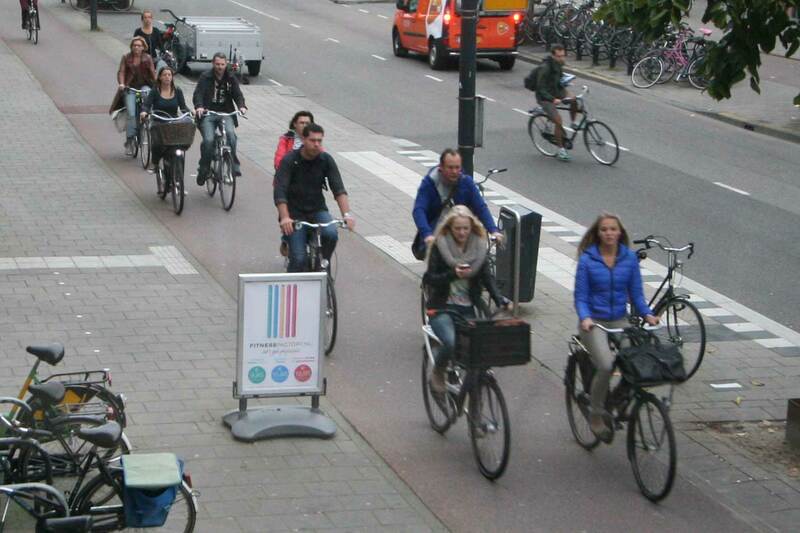 How many bikes can be securely parked, what’s the output? Does this meet, exceed or fall short of demand, what’s the outcome? What are the benchmark unit costs for installing a stand?